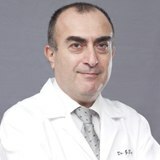 Dr. Georges Jammal completed his General Medicine from Lebanese University; Beirut in 1994 following which he pursued his Diploma in Gastroenterology and Hepatology from Dijon University, France. He is the member of the French National Society of Gastroenterology. Currently, Dr. Jammal is the Head of the Gastroenterology and Hepatology department at NMC Specialty Hospital Al Nahda Dubai. Prior to joining NMC he practiced at the NINI Hospital and Notre Dame De La Paix Hospital, Lebanon as the Head of the department. Dr. Jammal has over 15 years of clinical experience. His area of expertise include Medical Gastroenterology, Diagnostic and Therapeutic Endoscopy (Management of GI bleeding/ Digestive Ultrasound) He has several national and international publications, papers and presentations to his credit. Dr. Jammal can converse in Arabic, English and French.